Three papers have been accepted for publication at CCGrid’18. One paper is co-authored by the researchers (Eunji Hwang, Prof. Beomseok Nam, and Prof. Young-ri Choi) at Data Intensive Computing Lab. (DICL) and System Software Lab. (SSL) and the other two papers are co-authored by the researchers (Jinsu Park, Myeonggyun Han, Seongbeom Park, Seongdae Yu, and Prof. Woongki Baek) at Computer Architecture and Systems Lab. (CASL). A research paper of DICL and SSL entitled “CAVA: Exploring Memory Locality for Big Data Analytics in Virtualized Clusters” proposes a memory locality aware scheduling algorithm and a cache affinity aware in-memory cache management technique for big data analytics in virtualized clusters. 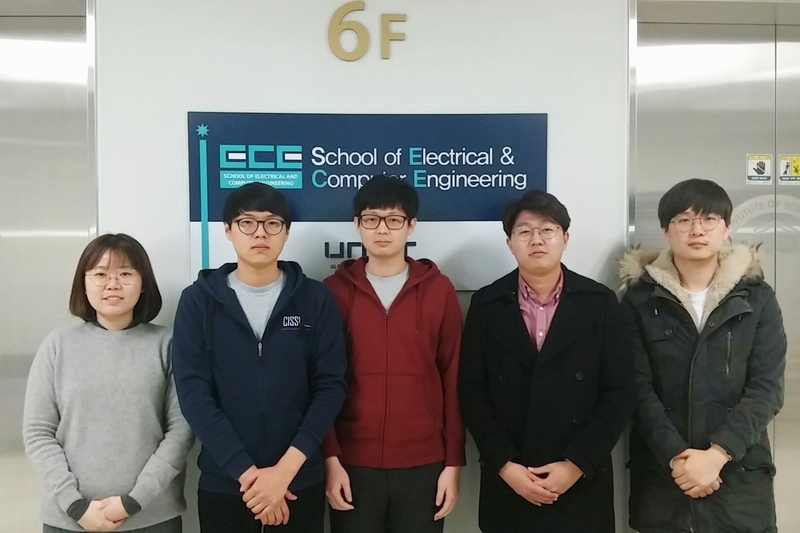 A CASL’s research paper entitled “RPPC: a Holistic Runtime System for Maximizing Performance under Power Capping” (authors: Jinsu Park, Seongbeom Park, and Prof. Woongki Baek) proposes RPPC, a holistic runtime system for maximizing performance under power capping. A CASL’s research paper entitled “Secure and Dynamic Core and Cache Partitioning for Safe and Efficient Server Consolidation” (authors: Myeonggyun Han, Seongdae Yu, and Prof. Woongki Baek) proposes SDCP, secure and dynamic core and cache partitioning for safe and efficient server consolidation. In particular, this paper has been selected as a Best Paper Finalist. CCGrid (IEEE/ACM International Symposium on Cluster, Cloud and Grid Computing) is one of the major conferences in the field of cluster and cloud computing. UNIST EE graduate students’ pap..
UNIST Team placed Thirty-first of..